The company birthday is coming up and you want to mark the milestone with an appropriate PR stunt. 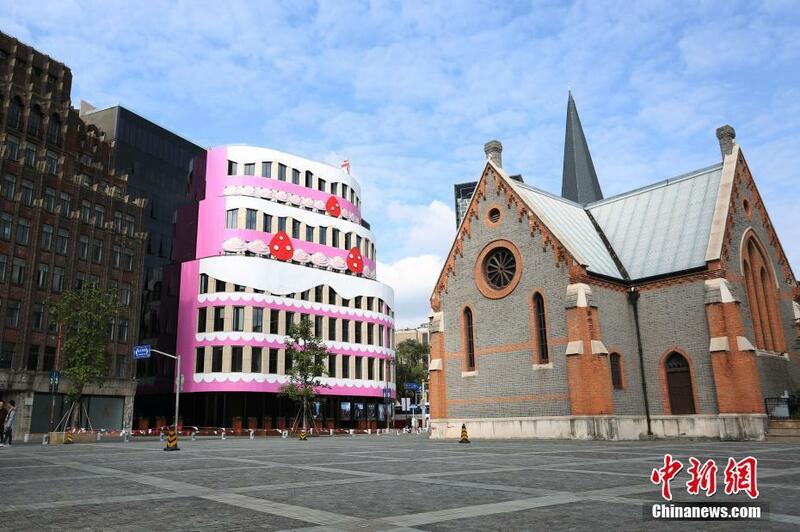 Obviously, the first thing you do is to convert your 8 storey office building into a giant strawberry cheesecake. 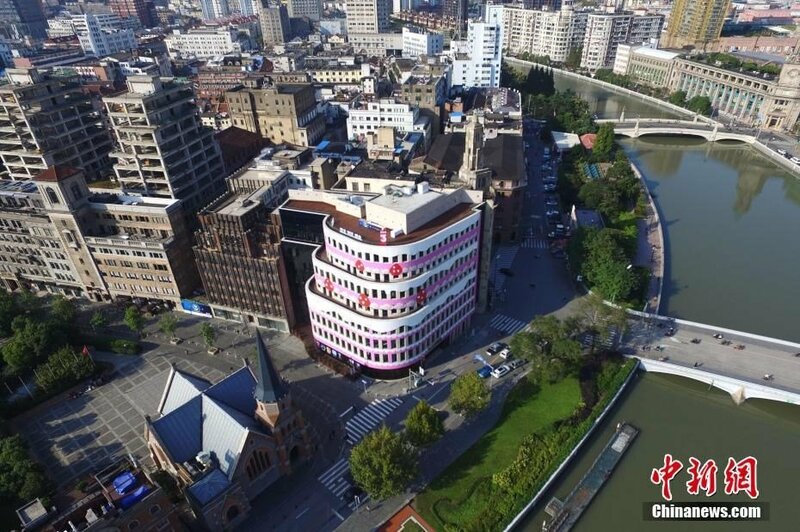 Again, obviously, it’s China, your office is in a district full of historical buildings, so no need to seek permission or run it through official channels. 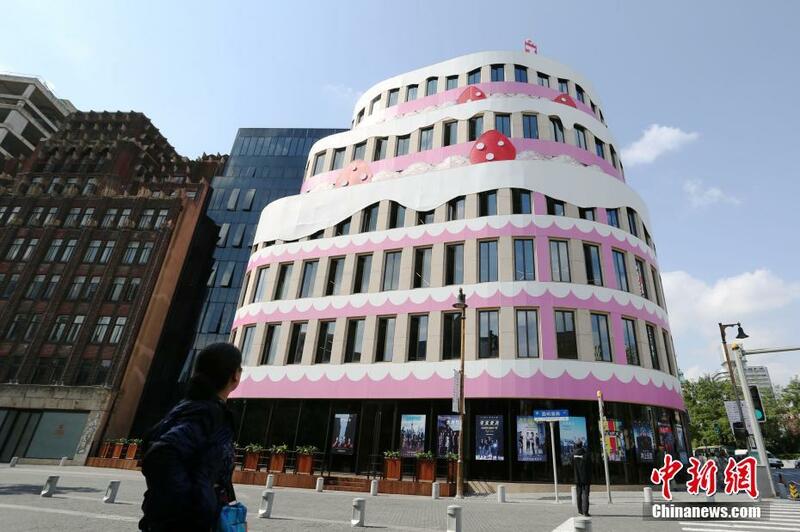 However, in Shanghai, the first rule of cake buildings is that there are no cake buildings. This is especially true in the Huangpu District which houses the offices of the local government. 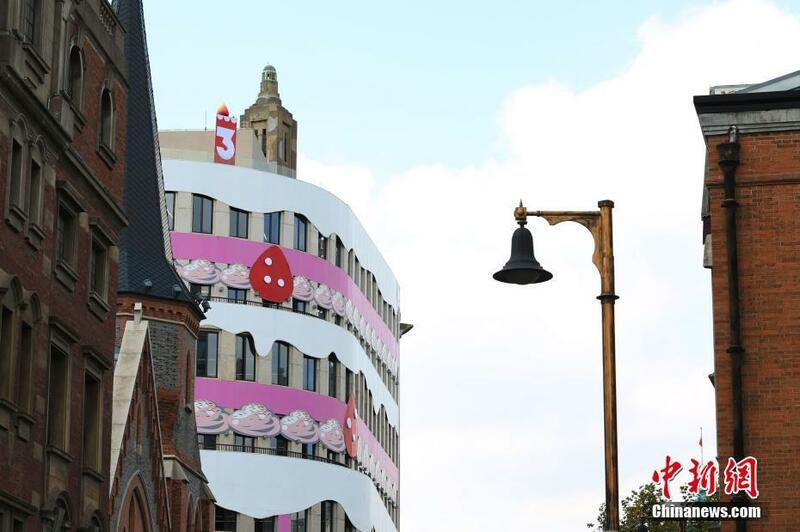 The largely pink and white paper decorations were pasted onto the building’s exterior in time for the birthday celebrations to be held on November 1. Local officials quickly stepped in though and the company was ordered to remove the decorations the next day. The official reason given was that the alterations did not match the aesthetics of the local environment. Whilst the Shanghai cake building itself had no historical importance it was surrounded by colonial buildings and a stone’s throw from the historic Bund or waterfront area.